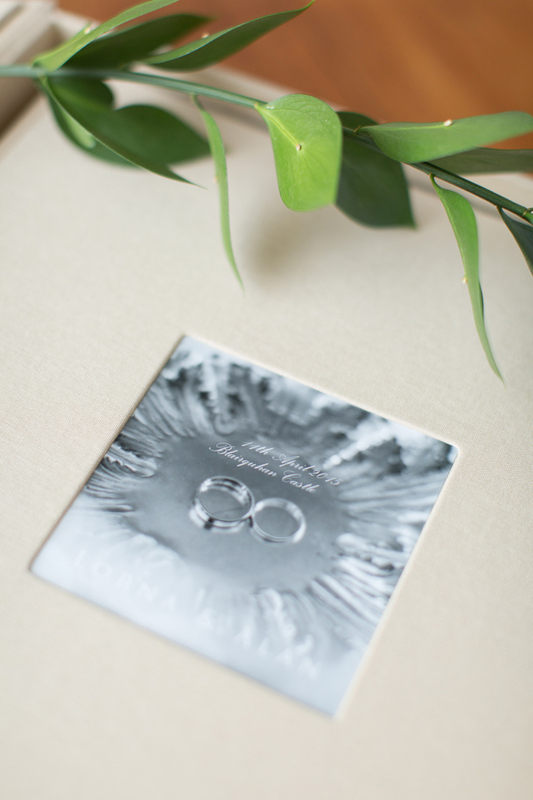 If you are looking for an album which is timeless and elegant, a bit retro, probably similar to your grandparents wedding album, this is the one. 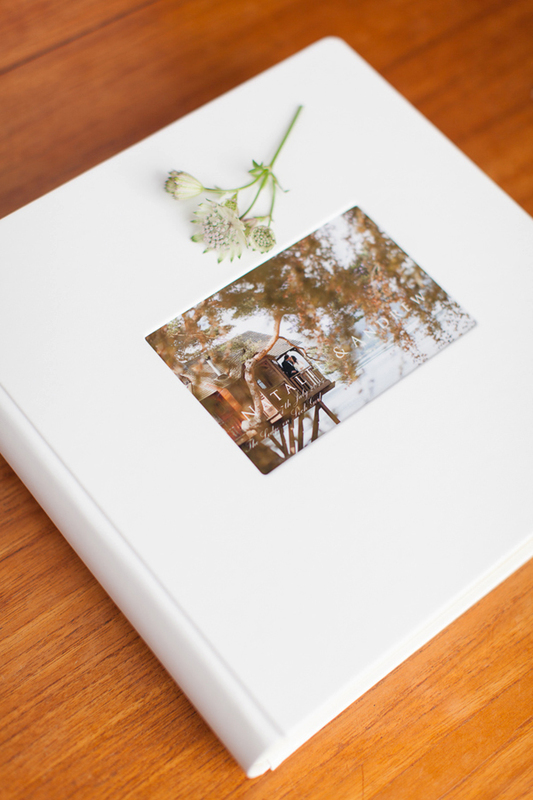 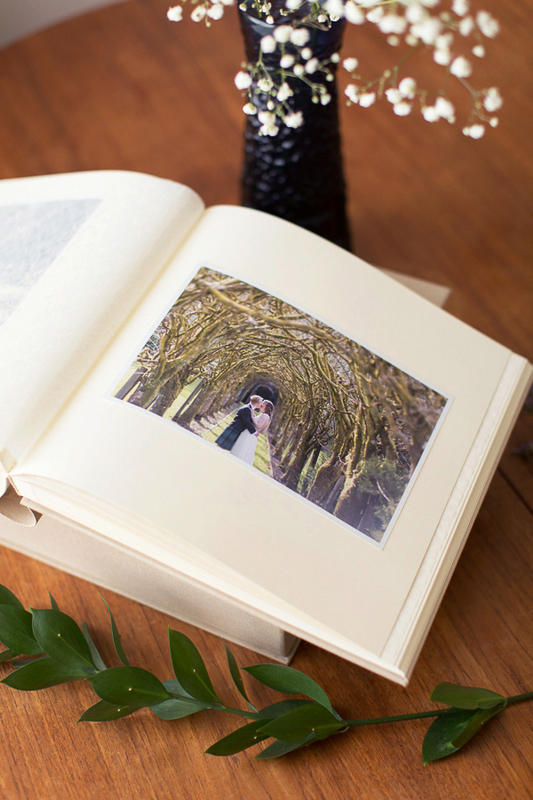 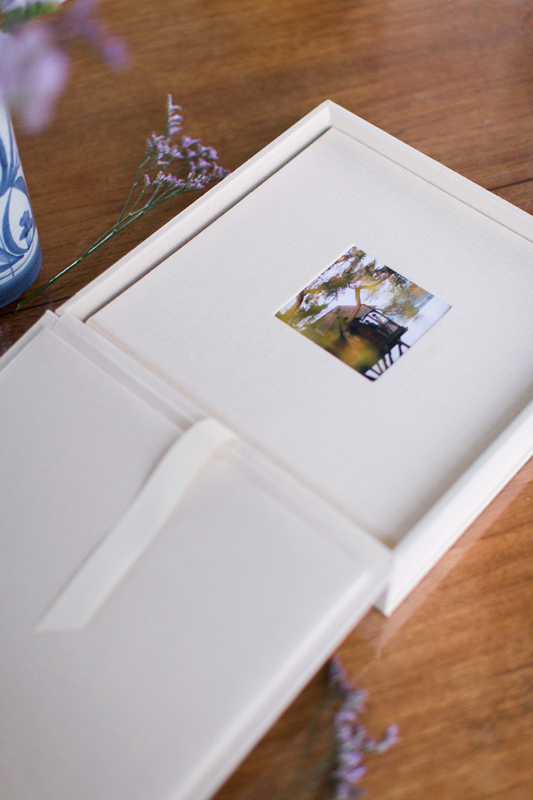 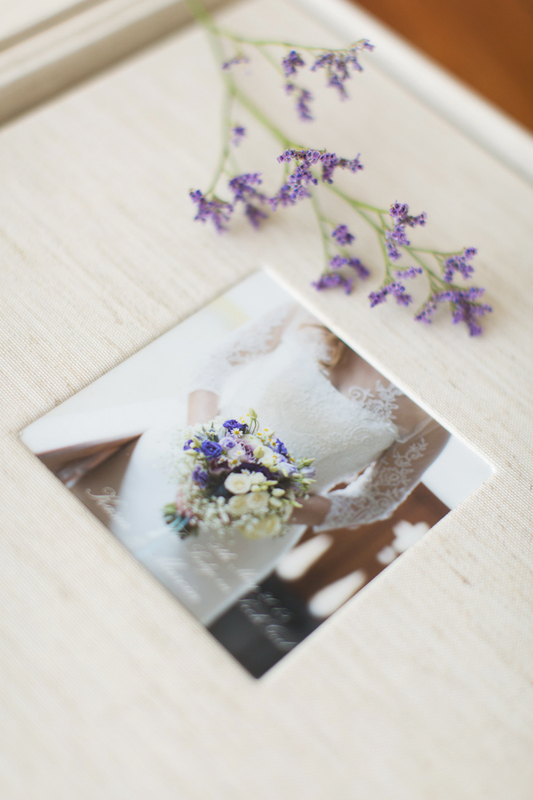 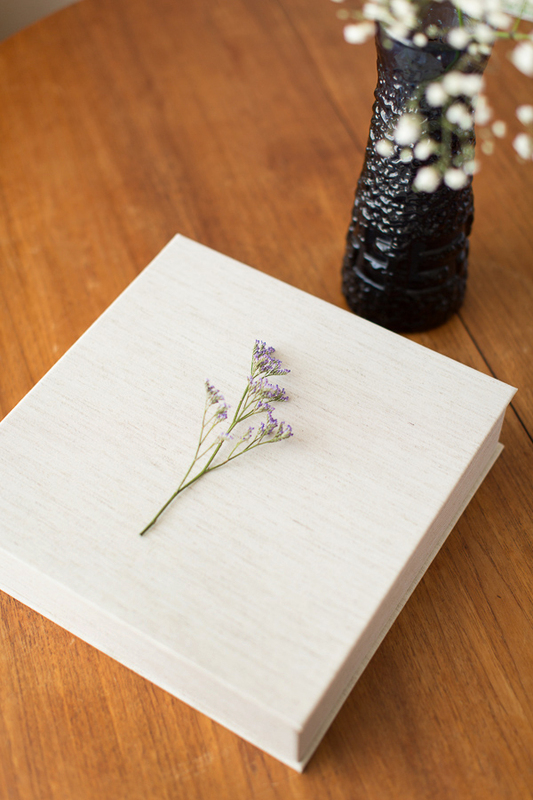 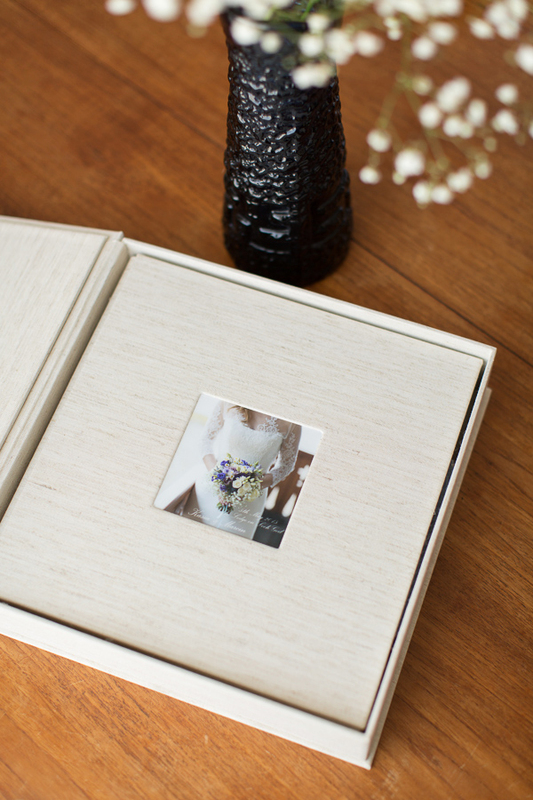 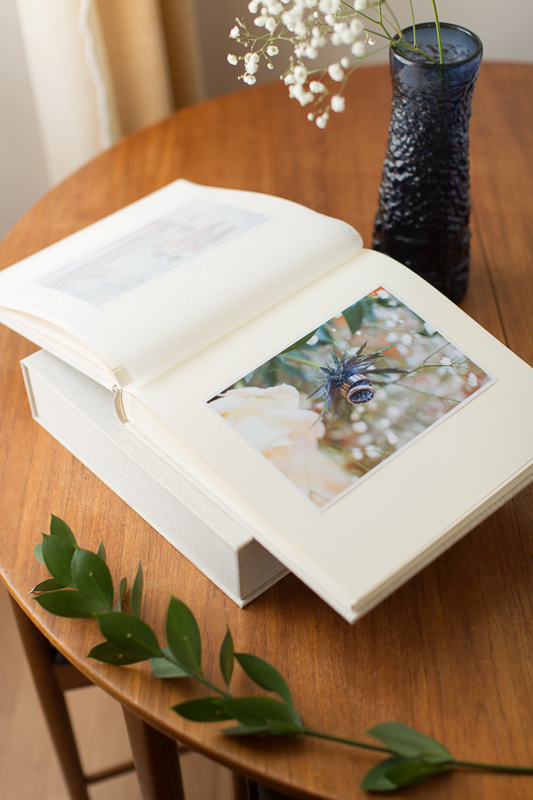 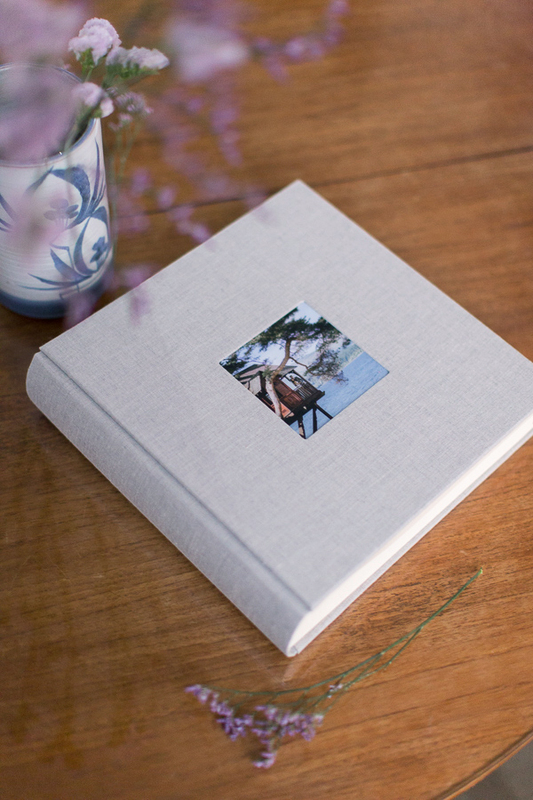 The album contains 60 pages, each with 6×9 inch high quality photograph. 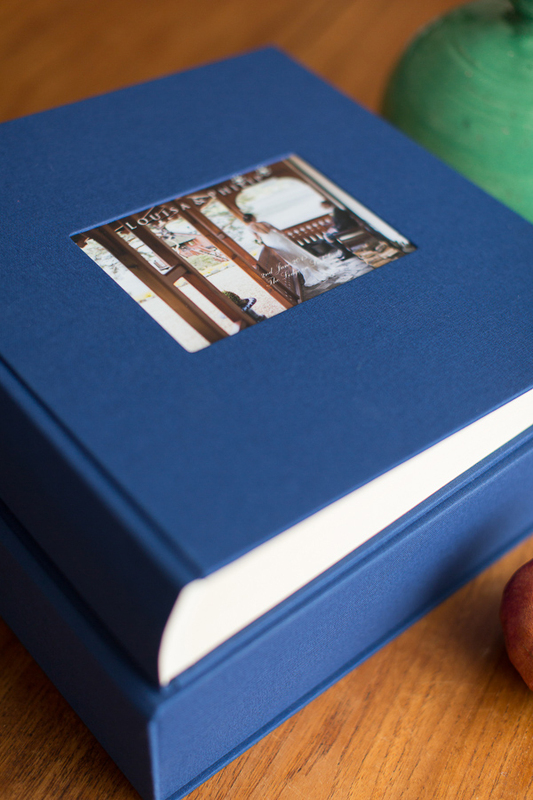 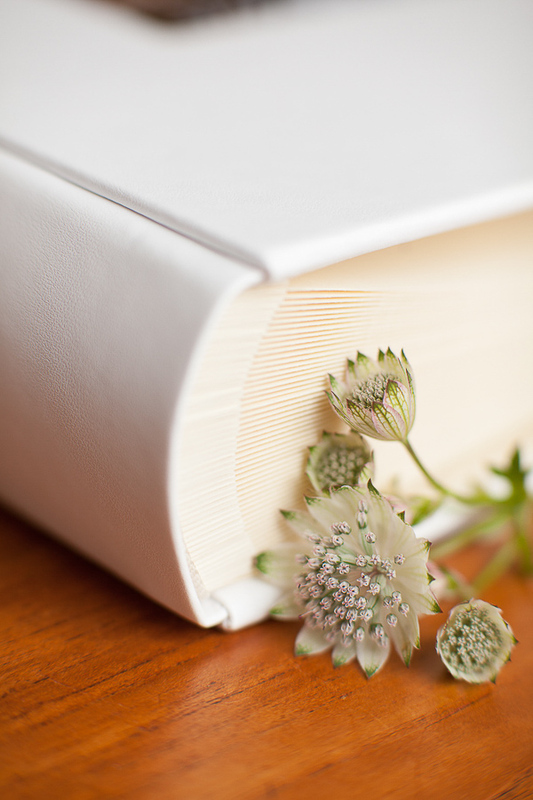 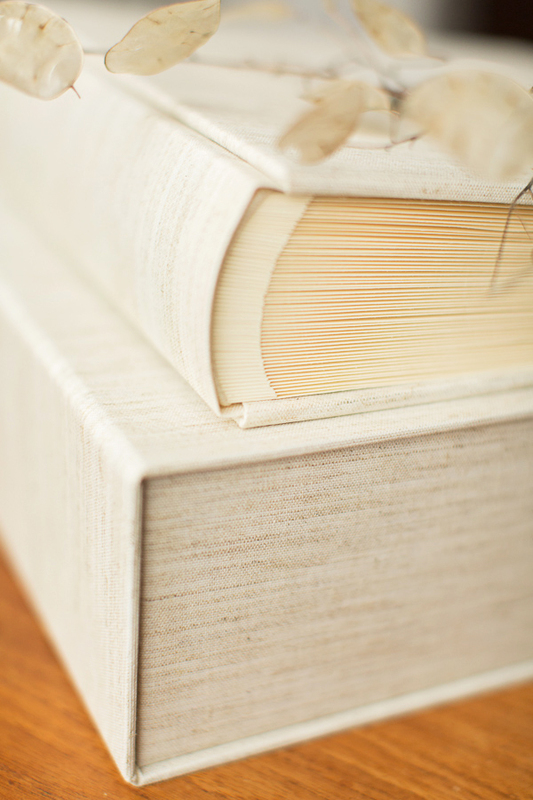 They are protected by an elegant cover made from book cloth, linen or eco-leather. 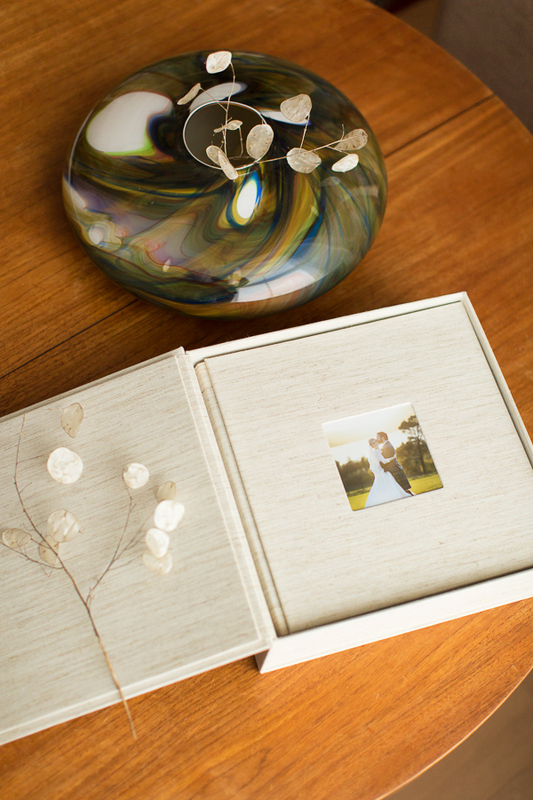 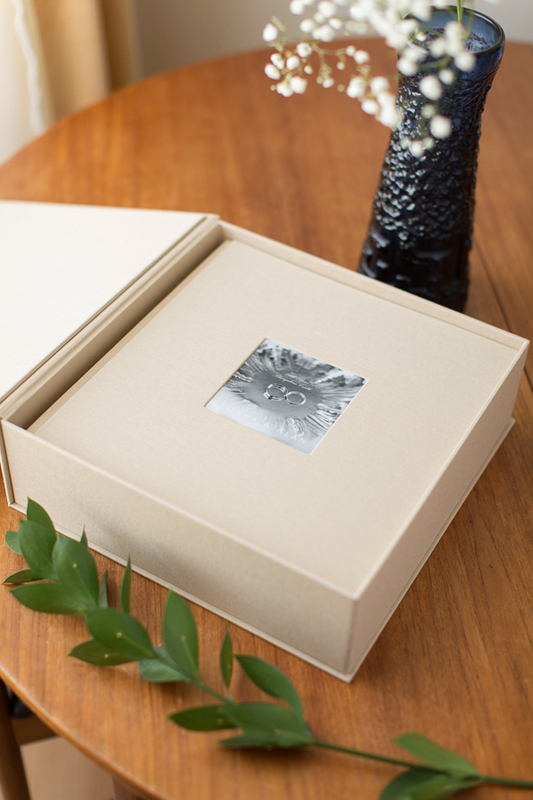 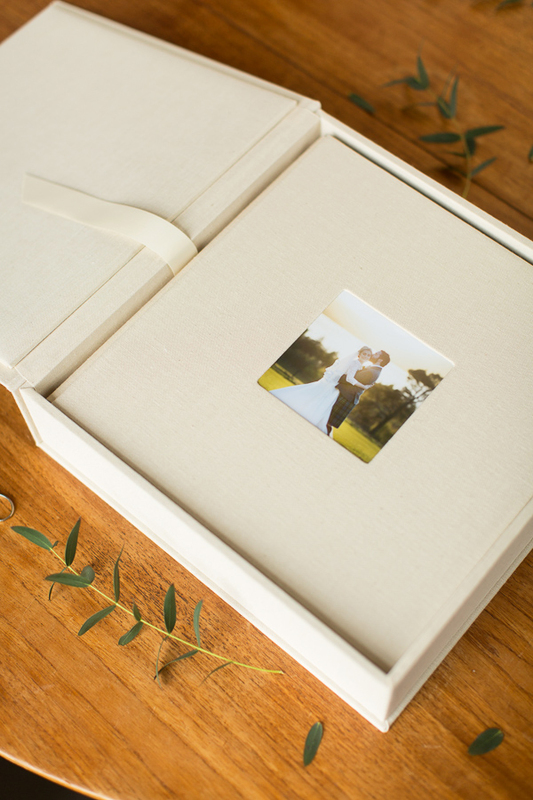 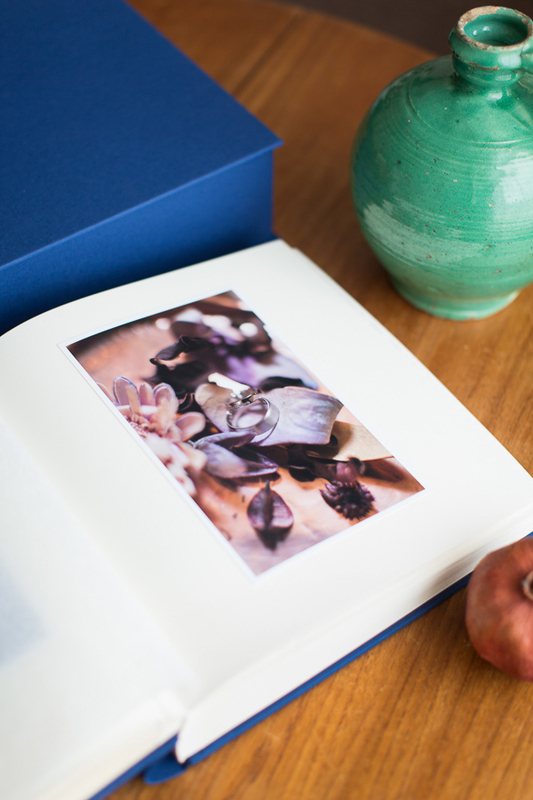 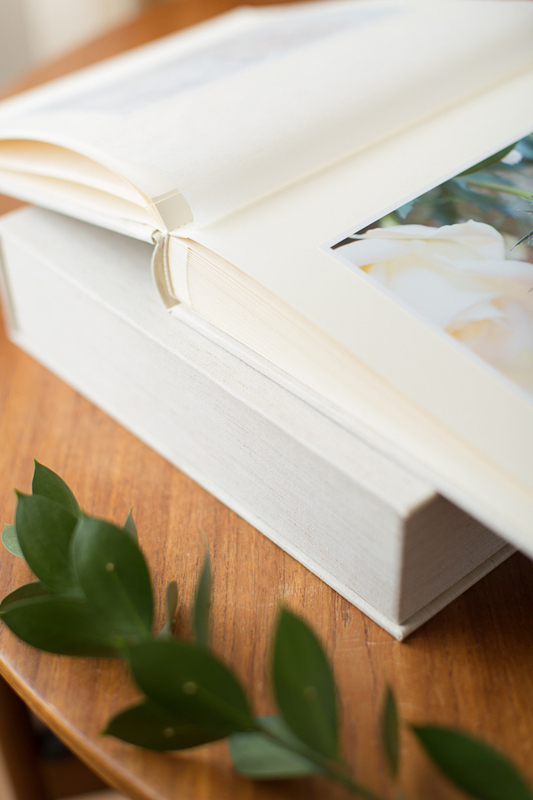 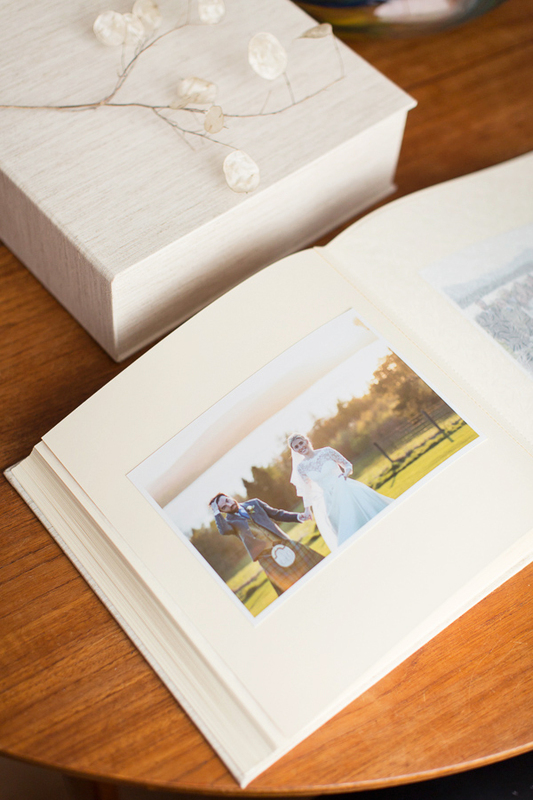 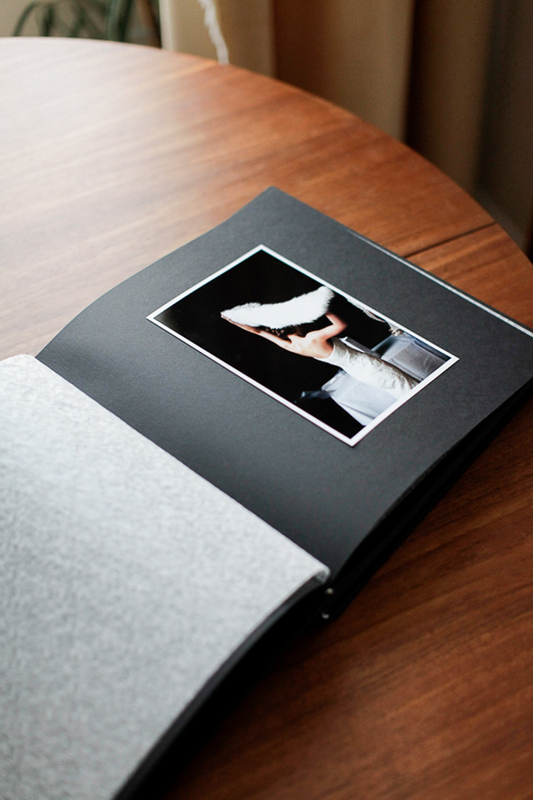 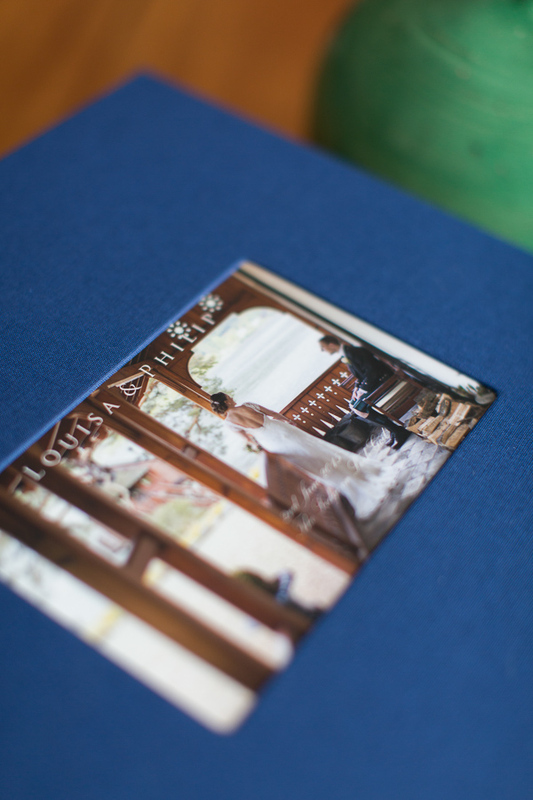 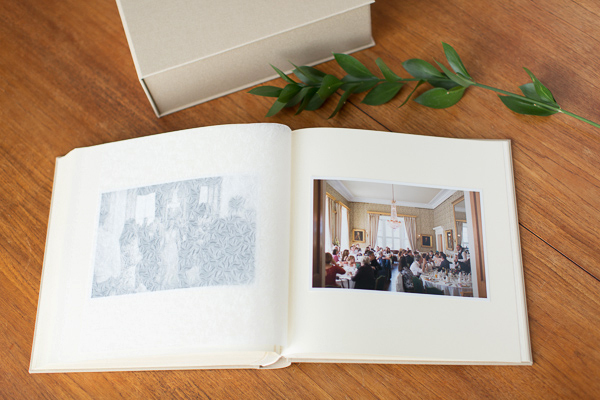 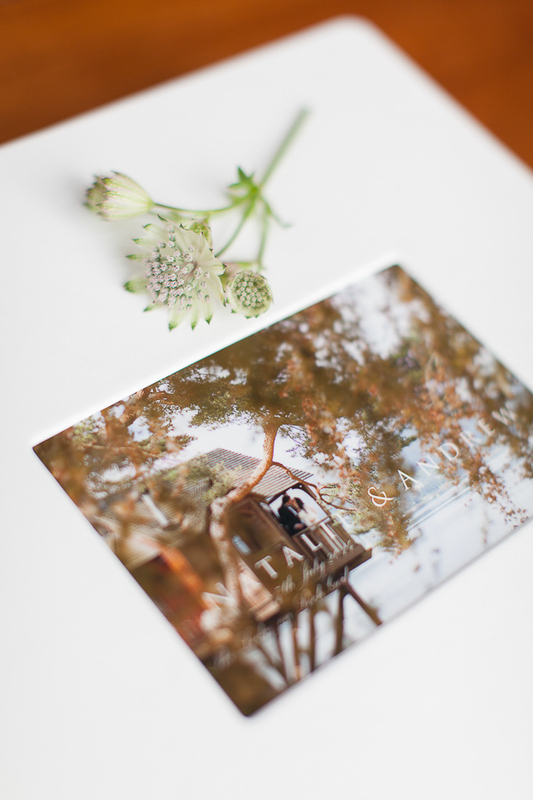 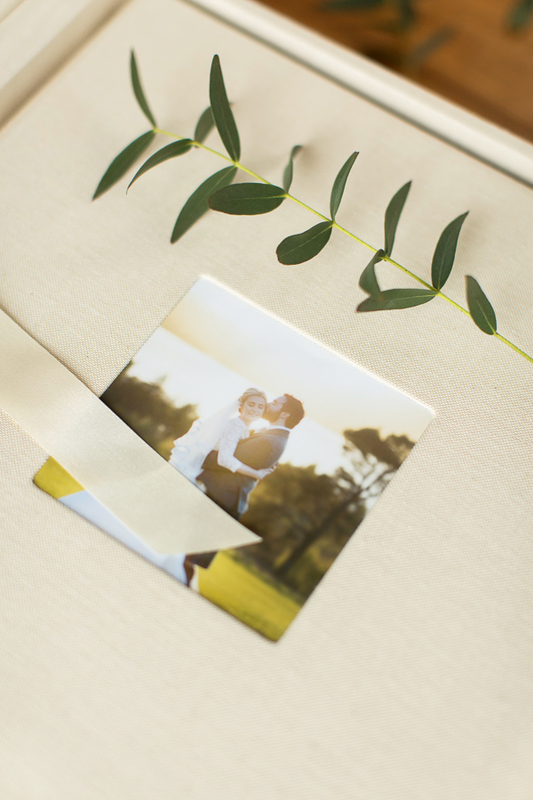 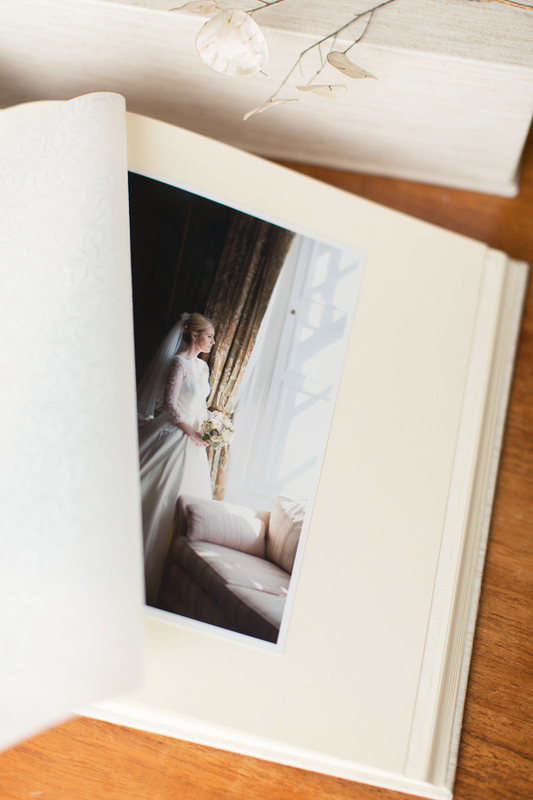 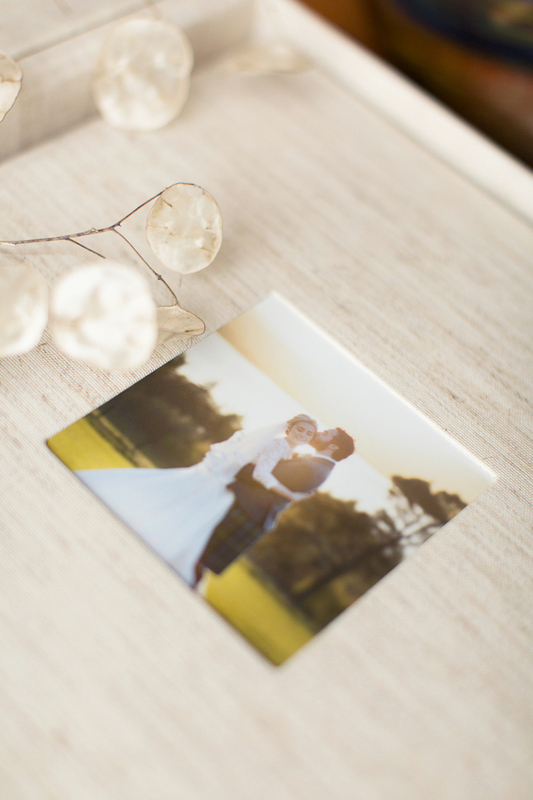 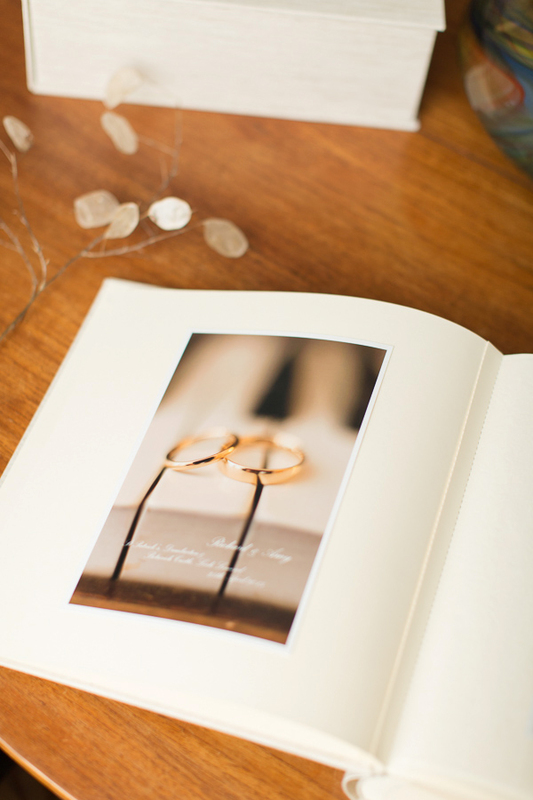 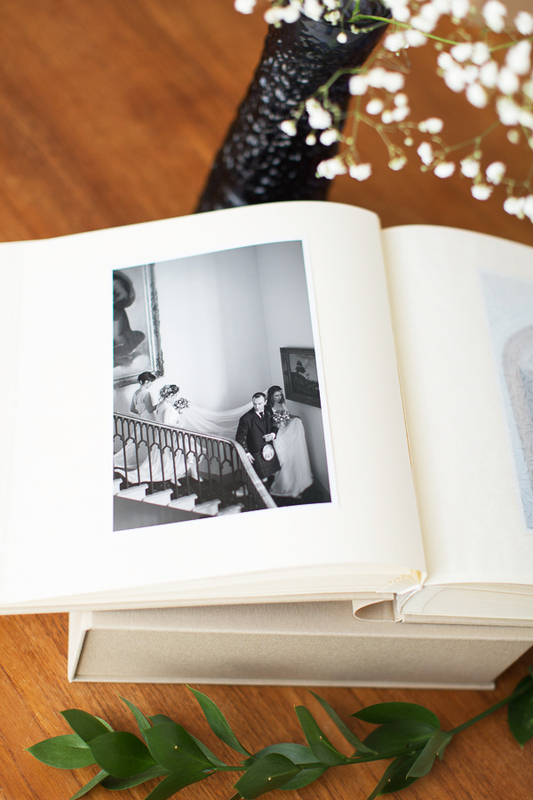 Beautifully embosed transparent pages are securing each photographic print inside. 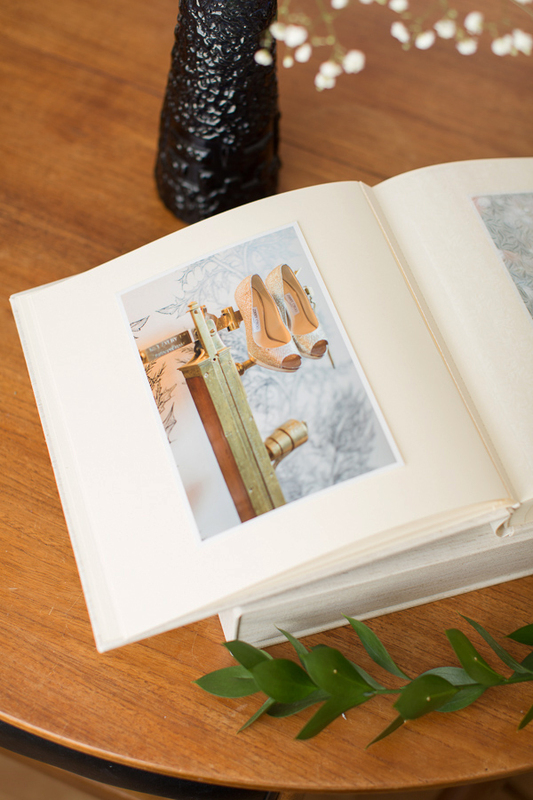 The internal part of the albums is still traditionally made in Italy. 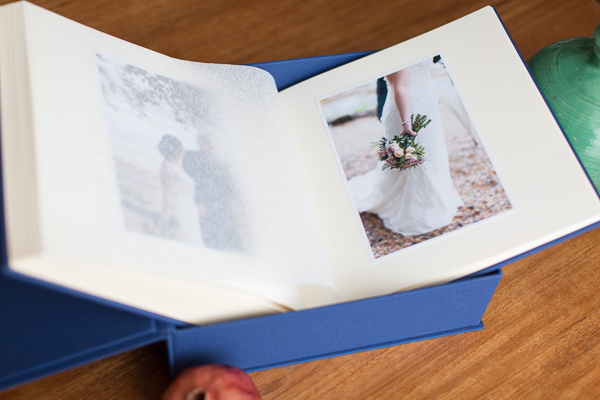 There are many ways to customise these books including cover photo, writing on the cover and different colours of pages. 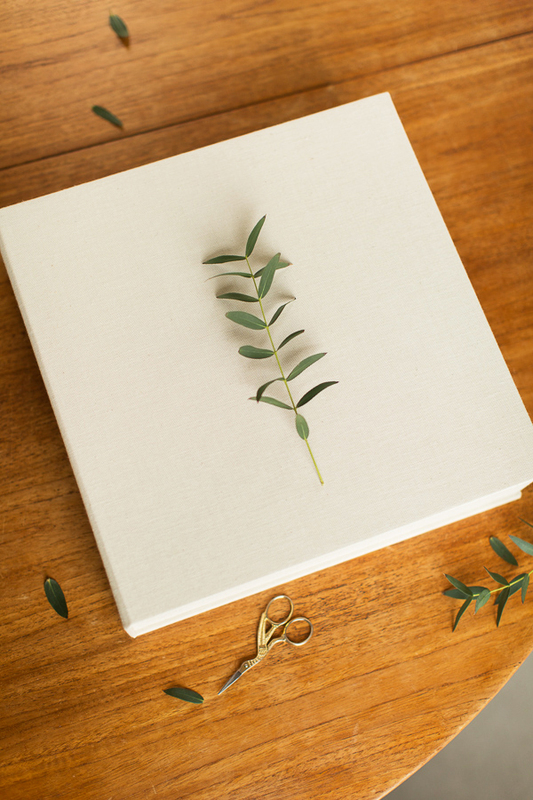 It is a 12 x 12 inch square size. 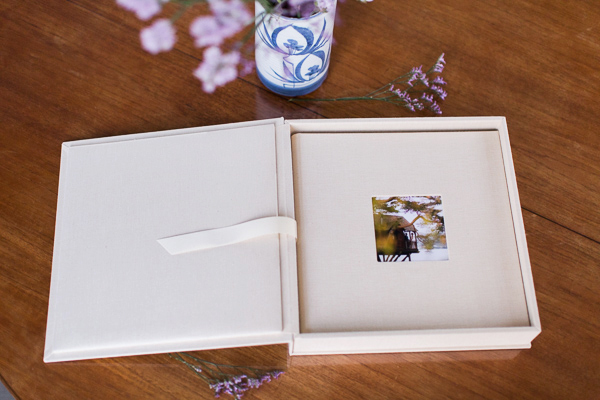 This kind of album encourages looking at one picture at the time so you can appreciate each single moment from your wedding day.